Saturdays are traditionally dedicated to the honor of our Blessed Mother. What a contrast there is between the Pharisees and our Blessed Mother, Queen of Heaven and Earth! First, we start with the Pharisees. They were continually condemned by Jesus for their pride and self-righteousness. They spoke prayers to themselves, sought out places of honor, demanded the respect of others and were completely self-consumed. Jesus’ continual condemnation of them was an act of mercy on His part. It was a way of trying to break them out of their pride, helping them to see the light of truth. Second, we contrast this with our Blessed Mother. She was humble beyond imagination. 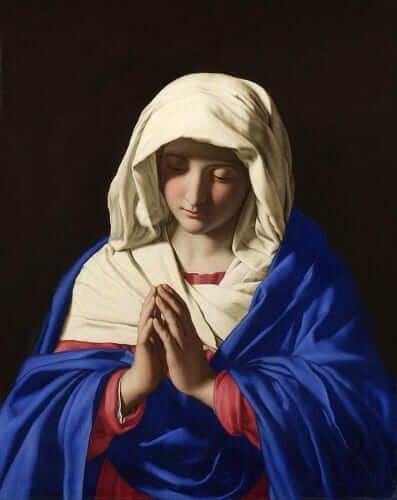 She is the Immaculate Conception…perfect in every way. She carried every virtue within her soul. She is the New Eve, the new Mother of all the Living. And she is honored eternally as Queen of Heaven and Earth. The stark contrast is seen in the way she lived. It’s seen in the fact that she had every right to exalt herself and to expect honor and respect throughout her life. But, in her humility, she claimed no such right. She allowed herself to remain hidden and even ridiculed for becoming pregnant out of wedlock. She was unlike the Pharisees in every way. But now, for all eternity, God has raised her up. She will eternally be seen as Queen and will be honored and loved by all. All her virtue will perpetually shine forth as she has been rewarded and exalted for all to see. Reflect, today, upon who you are more like. Are you more like the Pharisees who seek to exalt themselves? Or are you more like our Blessed Mother who humbled herself. Choose to imitate our Blessed Mother and God will eternally reward you, too! Lord, may I see the beauty and magnificence of Your mother’s soul. May I love her and honor her. And in that love and honor, may I imitate her in every way. Jesus, I trust in You.